Taylor Pelfrey, Miss Leesburg 2016 received a $ 5,000 scholarship. She is a graduate of First Academy and attends Lake Sumter State College. 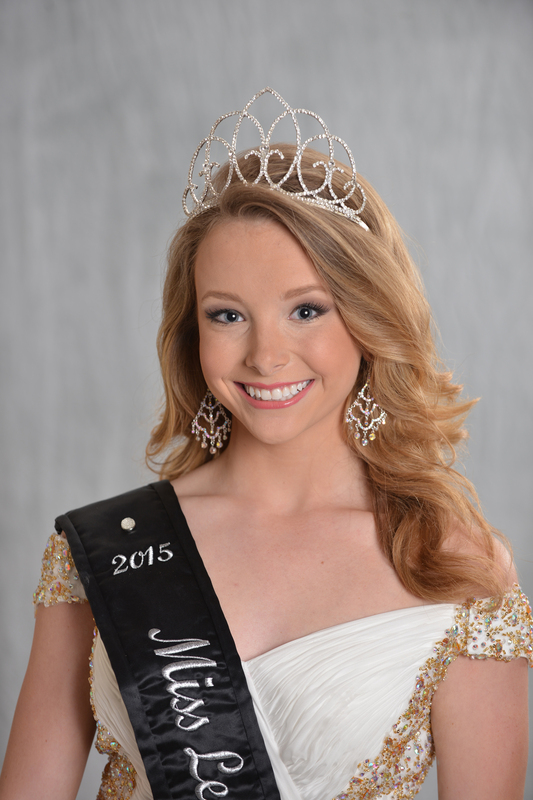 Savannah Zuk, Miss Leesburg 2015 received a $ 5,000 scholarship. Savannah is a Senior at LHS. 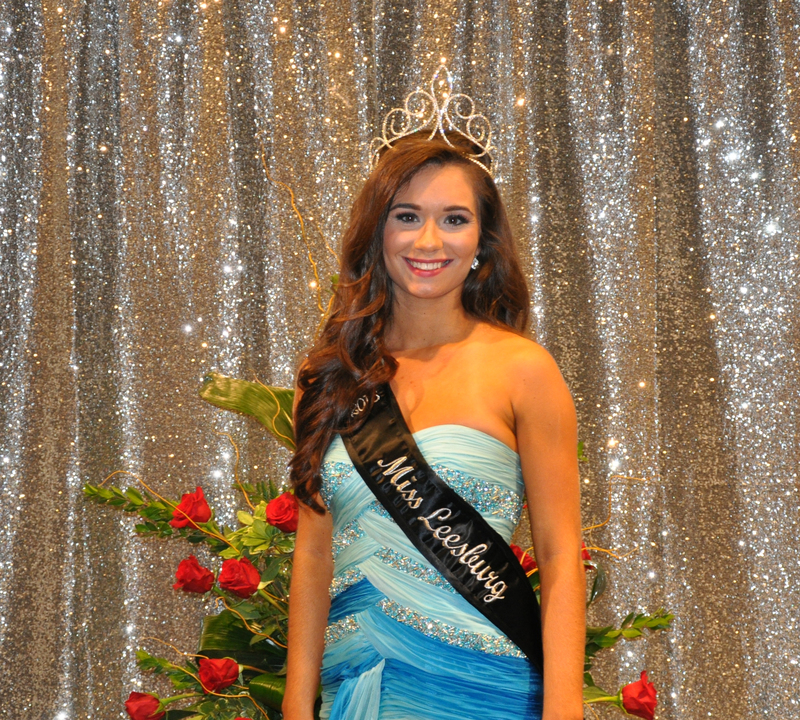 Dayla Scheinfeld, Miss Leesburg 2015 received a $ 5,000 scholarship. She is a 2014 graduate of Tavares High School and is attending Sante Fe Community College. 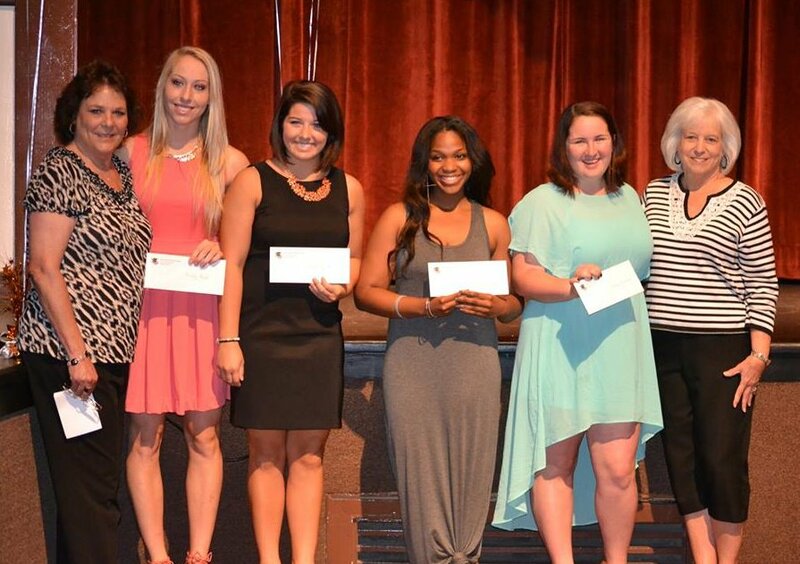 Taylor Pelfrey received a $ 4,000 scholarship from the Miss Leesburg Scholarship Program. 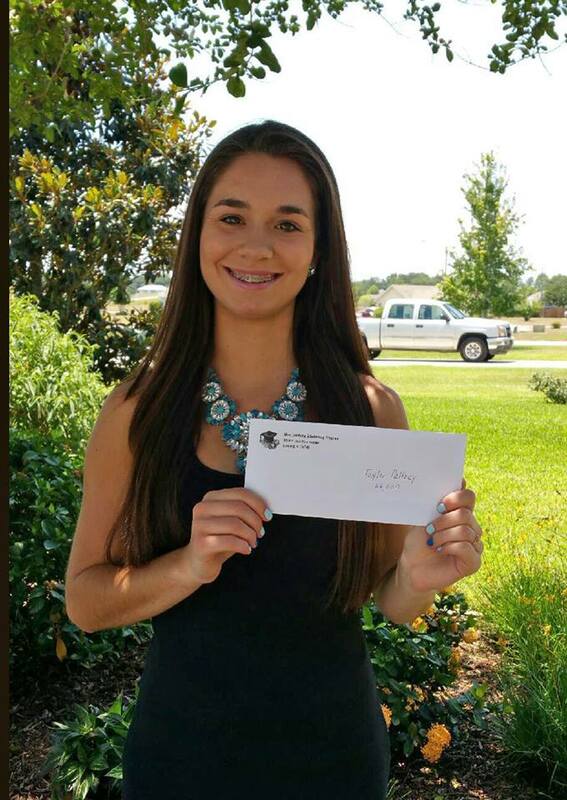 She is a 2015 graduate of First Academy and is attending Lake Sumter State College. 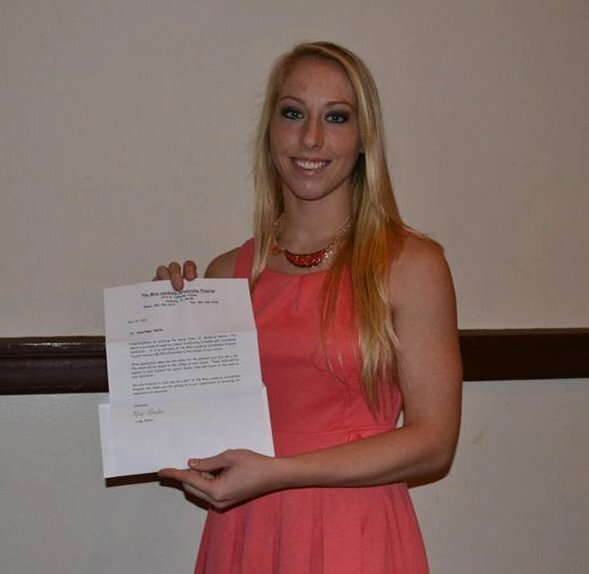 Emily Pelton, Miss Leesburg 2013, recieved a $ 7,000 scholarship. Emily is a 2015 graduate of Tavares High School. The Miss Leesburg Scholarship Program is commited to stressing the importance of education through the scholarship program. Our youth program has proven to be a great success, thanks to the community support we receive. All scholarships are paid to the college of choice. Congratulations Kourtney, on receiving the Randy Jones, Sr. Memorial Award. This is provided through our annual Miss Leesburg Scholarship Scramble golf tournament fundraiser. With our focus on education, we look beyond our pageant contestants for young ladies in our city who excel in academics, sports and the arts with a commitment and dedication that aligns with our program.